5-HTP is CONVERTED into serotonin, also known as the ‘happy’ brain chemical. Usually, serotonin levels are lower in those with Fibromyalgia and autoimmune conditions. Serotonin is involved in a lot of important functions in your brain, so a lot can go wrong when it’s dysregulated. BENEFITS OF HEALTHY Serotonin Levels – Healthy mood, sound sleep, normal appetite, healthy libido, normal energy, sense of well-being, smooth muscle constriction, and a decrease in PMS symptoms. PEOPLE WHO SUFFER from chronic panic attacks due to lower availability of serotonin in the brain found significant relief through supplementation of 200 mg of 5-hydroxytryptophan. IN HUMAN clinical trials, herbal extracts of 5-HTP were shown to increase GABA receptor agonists or increase GABA levels entirely, promoting a sense of relaxation and decreased anxiety. I CAN FINALLY SLEEP! Plus, it helps with my fibromyalgia. If I forget to take it for a few days, I feel a difference. Not a good one. So, I know this is helping alot. I read to start out LOW and SLOW and gradually increase FYI. This is a very clean product which is the most important thing to me when it comes to supplements. This helps me sleep much better! I take this for anxiety and fibromyalgia and I’ve cut back on my gabapentin because that stuff is terrible for your body and this has ZERO side effects. This brand is the best. They really do have quality ingredients and is very effective. I feel happier and relaxed to the point taht my SO has noticed a change. I will forever take this! I take this for my fibro and my son who is in the ASD. This with L-tyrospine and gaba and DLPA are the best combinations to help control his aggression and hyperactive personality. This is all controlled naturally and works so well. I’m so happy to have found this here. This also helps with his motility of his GI system. No side effects, great quality, and potent! I take this instead of melatonin for my sleepless nights now. Very deep sleep and wake up refreshed. I’m more calm and sleep better. This is better than other brands and cleaner! 5-HTP is used to promote healthy serotonin levels in your body. When we have healthy serotonin levels, our mood is stabilized. Say goodbye to crazy mood swings. 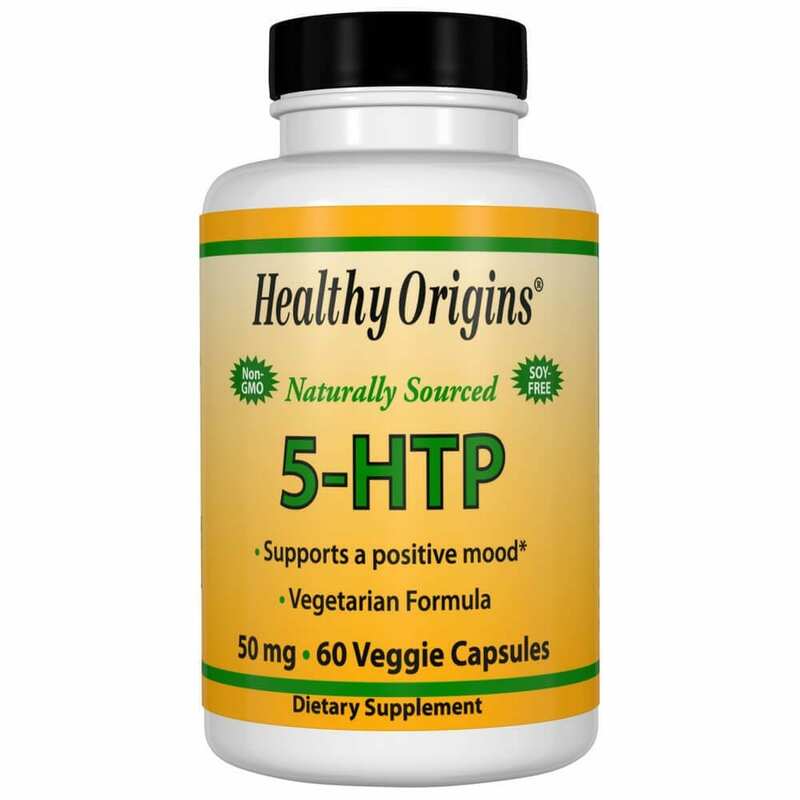 WHAT IS 5-HTP MADE FROM? 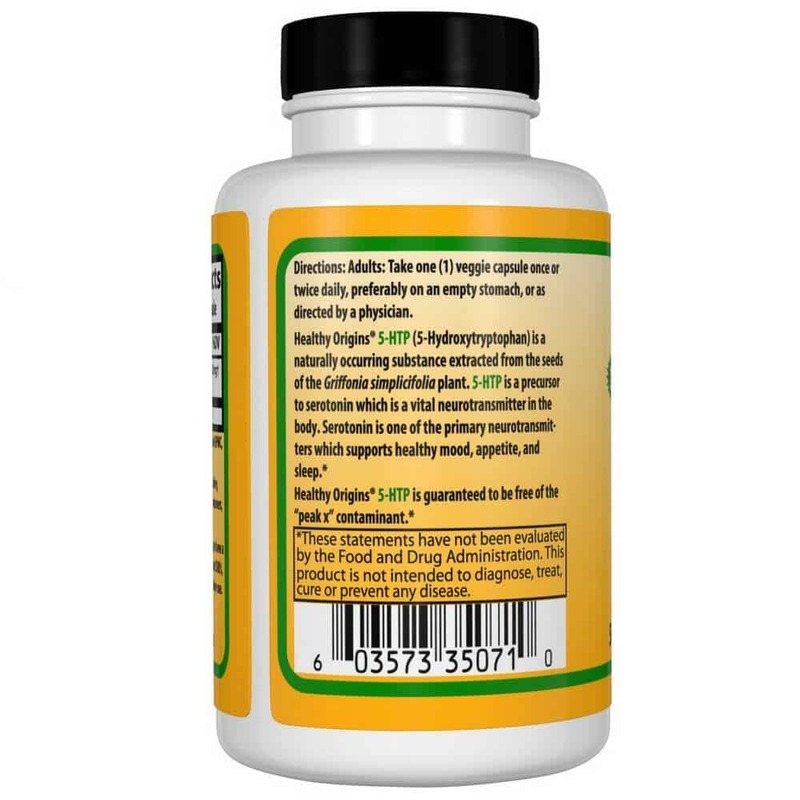 5-HTP products are made from the seeds of Griffonia simplicifolia, a plant native to Africa. 5-HTP is used to promote healthy serotonin levels in your body. When we have healthy serotonin levels, our mood is stabilized, say goodbye to crazy mood swings. The body makes 5-HTP naturally from tryptophan and, then, converts it into serotonin. This neurotransmitter has many powerful effects on the brain. Physicians suggest taking a 5-HTP supplement instead of a serotonin supplement because 5-HTP can access the brain from the bloodstream as compared to serotonin, which can’t. In order to access the brain, chemicals and compounds will have to pass the blood-brain barrier, which allows chemicals to reach the brain. Therefore, you would need to take a supplement that can cross that barrier, like 5-HTP, in order to increase serotonin levels in the brain. As serotonin levels increase your hunger decreases and you feel satiated faster without feeling the need to restrict your food intake. A study found that women ate fewer carbs without even trying! The amino acid tryptophan is converted to 5-HTP before it is converted to serotonin. TPH1 and TPh2, the enzymes responsible for converting tryptophan to 5-HTP, are the slowest (rate-limiting) enzymes in serotonin production. Tryptophan competes with leucine, valine, tyrosine, and isoleucine to cross the blood-brain barrier through the large neutral amino acid (LNAA) receptors. Tryptophan can be converted into kynurenic acid and quinolinic acid, which are involved in psychiatric disorders such as schizophrenia, anxiety, depression, and ADHD. These conversions happen more in individuals with inflammation, which may be a link between inflammation and psychiatric or neurological disorders. 5-HTP is not directly converted into neurotoxic metabolites, but high levels of serotonin may cause a feedback that increases these metabolites. WHAT ARE SOME COMMON DOSAGES FOR CHRONIC CONDITIONS? Do not double up on doses if you miss a dose. Well, it’s a naturally occurring compound in the body. 5-HTP is mostly safe for short-term use (up to 12 weeks). However, those with existing GI problems should be cautious and speak to a physician, as there are reports of gastrointestinal side effects, including nausea, vomiting, abdominal pain, and diarrhea. Also, avoid taking this supplement if you’re already taking antidepressants (such as an SSRI or MAOI) or are seeing a mental health specialist for severe depression or bipolar disorder. If you are pregnant or breastfeeding, you should not use 5-HTP. Please ensure this product does not interact with any medications you may be currently taking. 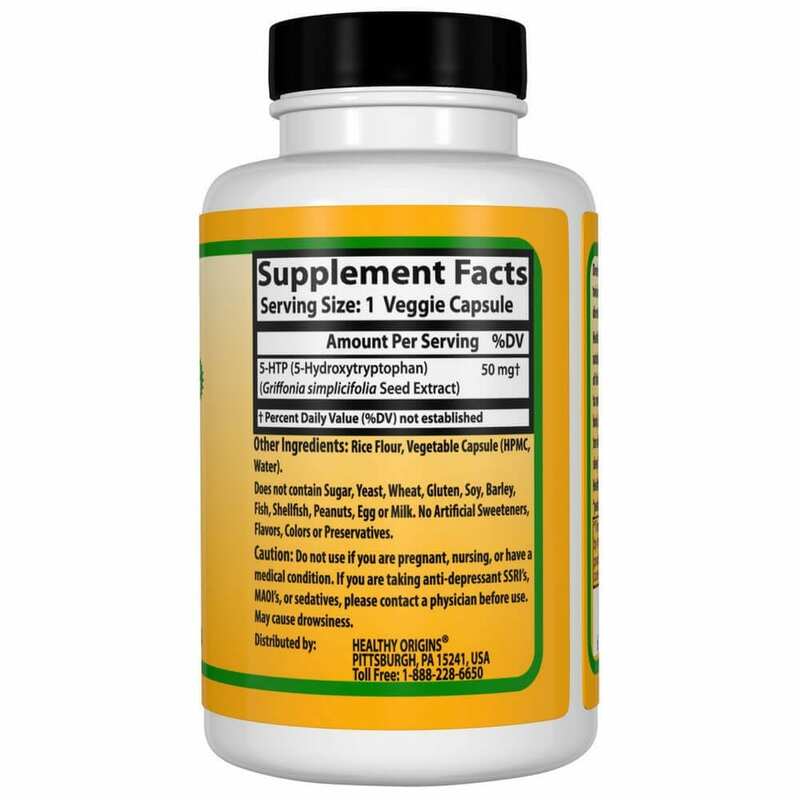 Avoid taking this supplement if you’re already taking antidepressants (such as an SSRI or MAOI) or are seeing a mental health specialist for severe depression or bipolar disorder. When starting, try to ease your body into taking 5-HTP by taking a small dose and increase after speaking with a naturopath doctor. Eat whole foods (8-12 servings) a day of veggies, nuts, fruits, and seeds to help your cells have the nutrients it needs to work function and take care of your organs. By eliminating processed foods, heavy carbs, and refined sugars, it will drastically aid in helping your cells detox. Then, you have to boost your mitochondrial function and provide them with the right nutrients. Best if taken in rotations, 12 weeks on and off. Order today to get your life back on track!